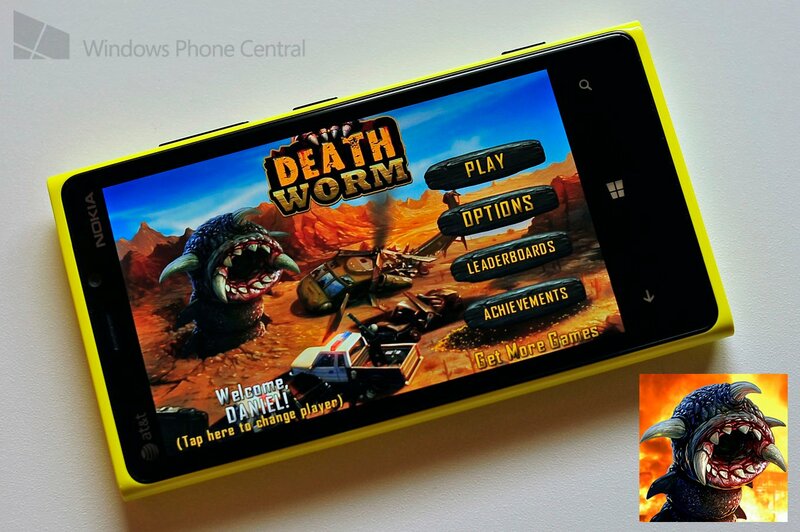 Death Worm finally comes to Windows Phone 8: Chow down on puny humans! I rarely get giddy for games but Death Worm is one of those that has literally garnered millions of downloads on iOS and Android. And now thanks to the power of Windows Phone 8, it is finally here for us to play. Sure, we’re totally years behind but there are reasons why we’re seeing these titles coming to our platform now: ease of porting, potential to make money. So what is Death Worm? It’s made by PlayCreek and it originally came out in 2010. Since then it’s gone to become one of the most popular arcade style games around. In essence, you’re a big fat killer worm that hides underground, occasionally busting out to eat people, elephants, camels, bust up tanks and take down helicopters. And that’s just Level 1! 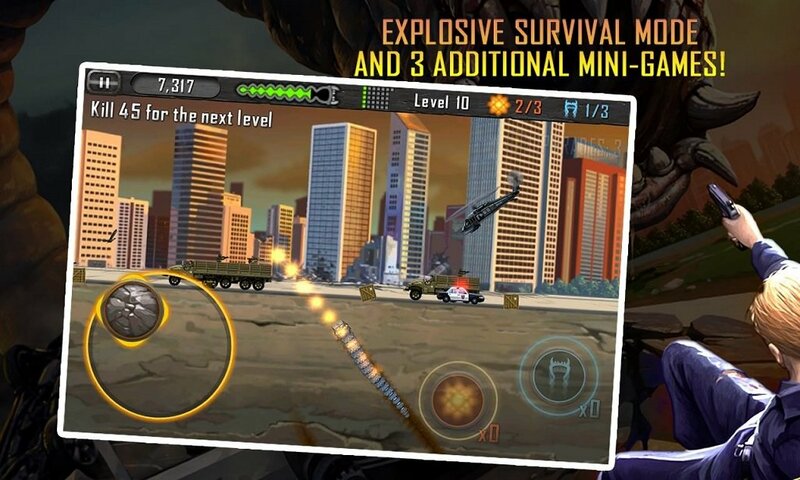 The game uses a classic virtual joystick that allows you to control the worm’s direction and speed. Players can power-up with Nitro (temporary invincibility, higher jumping) or fireballs in addition to leveling up your worm’s ability e.g. size, skin, speed, Nitro duration, etc. It’s a fun time waster with great graphics and a warped sense of humor aka our favorite kind of game. The best part though is the ability to continuously save your progress on levels, so that you can just pick up and resume where you left off without having to restart the game. In that sense, you can just go on and on, switching between locales, gaining in-game achievements or going for the high score. Unfortunately, there is no trial of this game, so you’ll have to part with $1.99 in order to play it (see, when other platforms don’t have “trials” it’s hard to port that feature over to Windows Phone). Make sure you watch our video demo to get an idea if it’s for you or not. Personally, we love it and give it a recommendation. Plus it’s just great to see these studios branching out to Windows Phone. Pick up Death Worm for $1.99 here in the Store or swipe right with our app. Windows Phone 8 only.